Well, we have been waiting all winter for April 11th and the day is rapidly approaching. Opening day at the Durham Bulls Athletic Park is always one of our favorite days of the year. With ticket prices starting at $9, attending a family friendly Durham Bulls game is a must when the Bulls are in town! The defending champion Durham Bulls have lots in store for this season. For starts there are some great new food options built around traditional Baseball Park fare. What if I told you that a Weiner Waffle was a thing? Or a Mac and Cheese Dog? These are only a few examples of how you can indulge while you take in a Bulls game this season. For adults, the amazing Bull Durham Beer is back again and if you are a craft beer fan they are a must try! For the 2019 season Best of the Bull, will be covering our home team like never before. Check out our complete to all the promotional games this season here. For opening night the Bulls will have fireworks after the game and also its Afforda-BULL Eats night which means that you can get 14 different items at a discounted price! This season will include Friday Night Fireworks and Food Trucks, The Durham 150 Celebration, Bark in the Park, Star Wars night and many others. 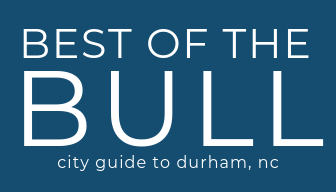 Check back with Bestofthebull.com or the Durham Bulls website for information on individual games.